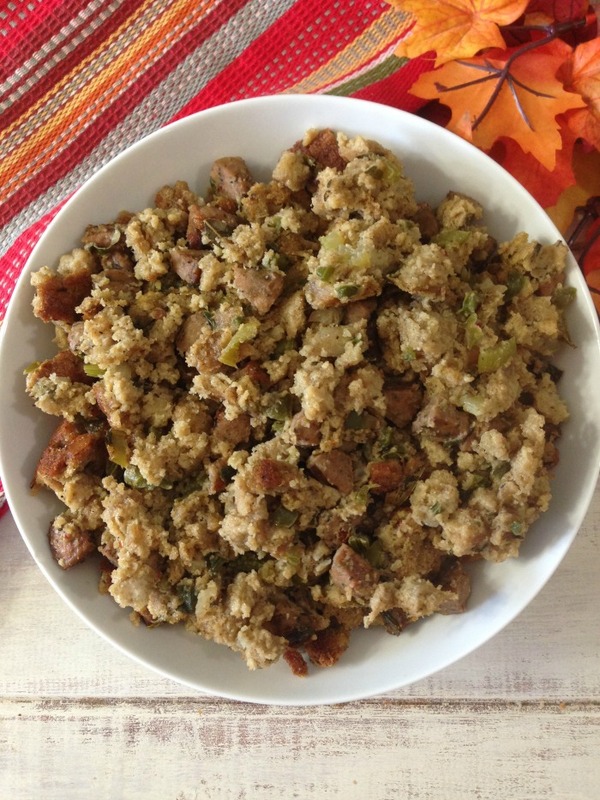 My absolute favorite side dish for Thanksgiving is stuffing. 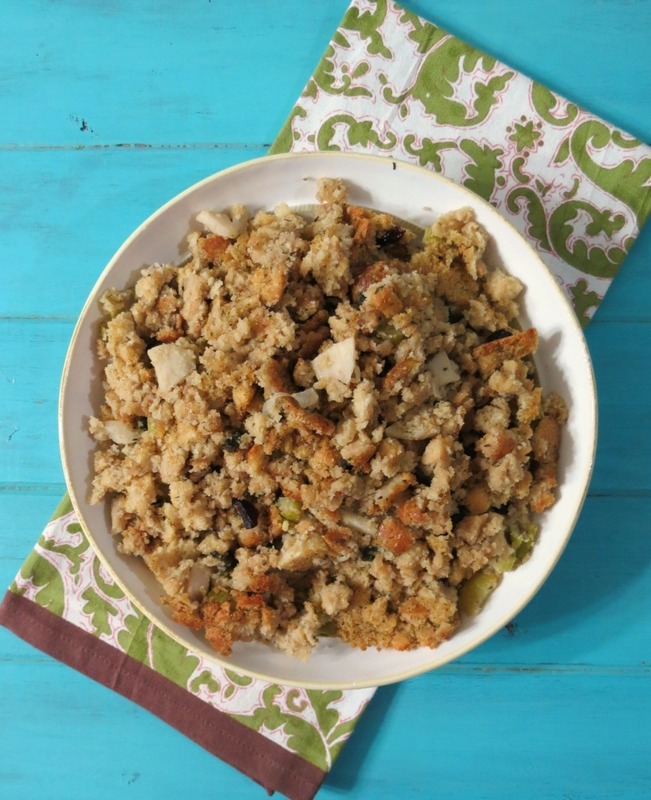 I make it every year and pretty much stick to the basics, which is apple and sage, but this year I totally changed it up and decided to make a Cajun Cornbread Stuffing. I thought why not? After all people are deep-frying turkey, grilling turkey, making cajun turkey, chipotle turkey and so on. 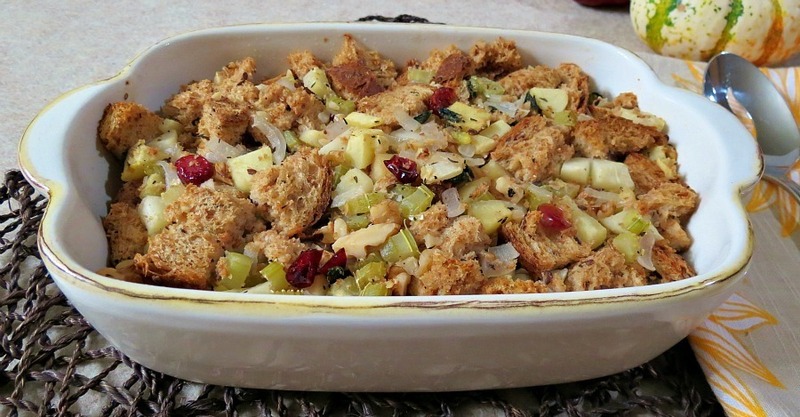 So why not change-up the stuffing and make a stuffing that you and your guests will remember. 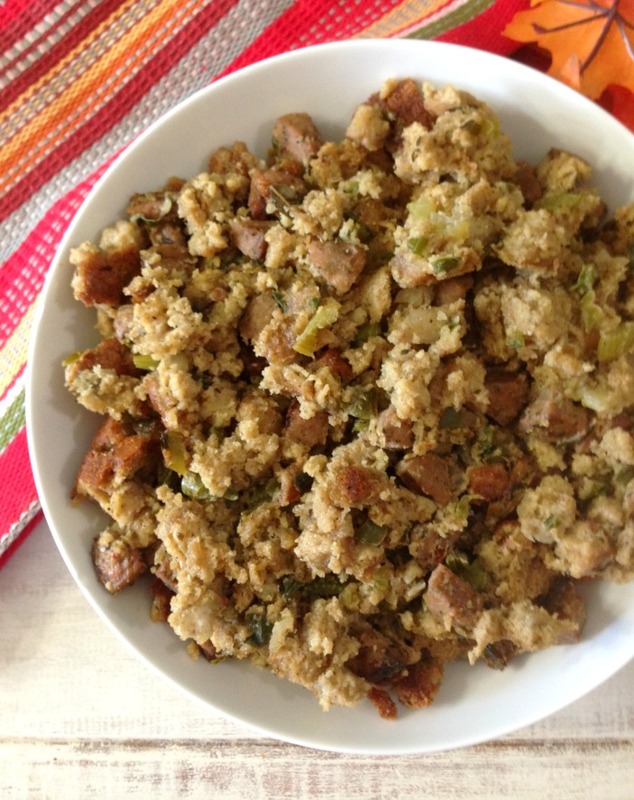 This stuffing is spicy, chock full of chicken sausage, bell peppers, scallions and more. It has a nice crusty topping and a moist center. I am not sure what I love more? The top or the center? Heck I love it all!! In a large skillet add butter, sausage, bell peppers, green onions, shallots, celery, garlic, thyme, sage, cajun seasoning and bay leaves; cook until softened and fragrant; about 10 minutes. Add sauteed vegetables into bowl with bread crumbs; add beaten egg,and chicken broth; mix until combined. Cover the stuffing with foil and bake for 35 minutes. Take the foil off and bake for 15 more minutes. Anyway, if you’re looking for a different spin to your stuffing you should try cajun style. 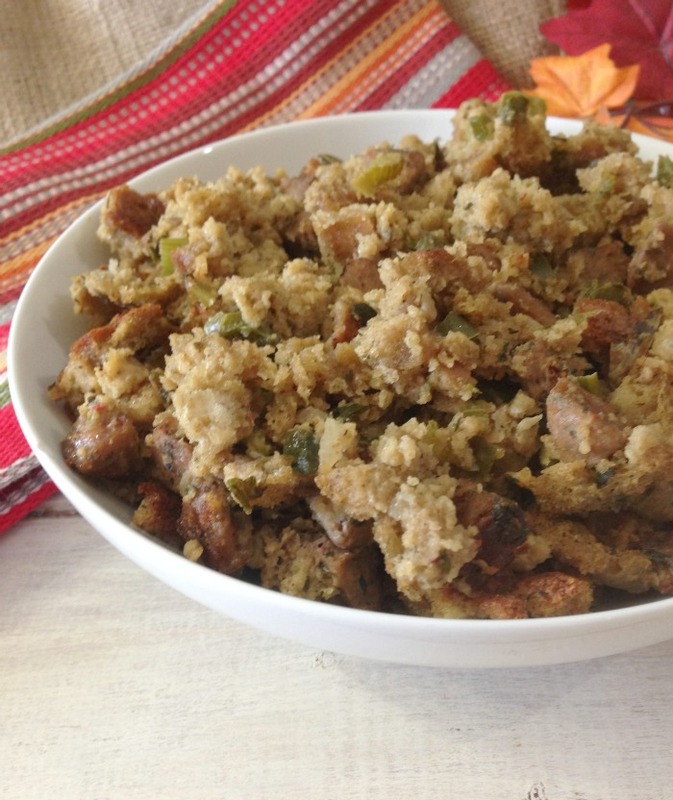 If you’re a traditional stuffing lover, here are a few recipes I have made in the past. Hmmmm, thought I had more stuffing recipes, guess not. This is what I am talking about! This is for real the dish people should make for Thanksgiving. Looks amazing. Thank you! I have to agree! I love it!